Community Memorial Home Health is a comprehensive program that assists people in their homes with health issues such as illness, injury or surgery. The staff works with the patient, his or her family, and personal physician to design a plan of care specifically for that patient. The team includes registered nurses, licensed practicl nurse, certified nursing assistants, physical therapists, occupational therapists and speech therapists. Depending on the plan of care designed for the patient, Community Memorial Home Health will send staff specifically trained to meet the patient's needs, all in the comfort of their home. 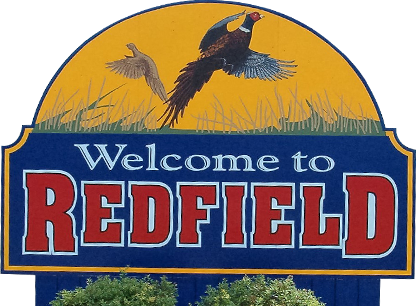 Community Memorial Home Health is the only Medicare certified home health agency in the Redfield area. Medicare, Medicaid, private insurance, Veterans Administration, private pay and the State of SD contract are all potential resources for payment, depending on the specific reimbursement requirements of the funding source. To provide quality home health care in the client's home. To provide home health care services that promote the clients value of life. To assist the client in making choices and decisions about home health care services related to the client's needs. Provide continuity of care from hospital to home. To shorten hospital stays or prevent hospitalization. Reduce the cost of illness. To provide health care education for the client, the client's family, and the community. To serve as a resource for the client, the client's family and the community. Our office is open Monday through Friday 8:00 a.m. - 4:30 p.m. For referrals, questions or further information, please call the Home Health Care Office at 605-472-2941.